Named after the degree of latitude that the Isle of Skye sits at, this is a remarkably powerful whisky, bottled at a hefty 57% ABV. 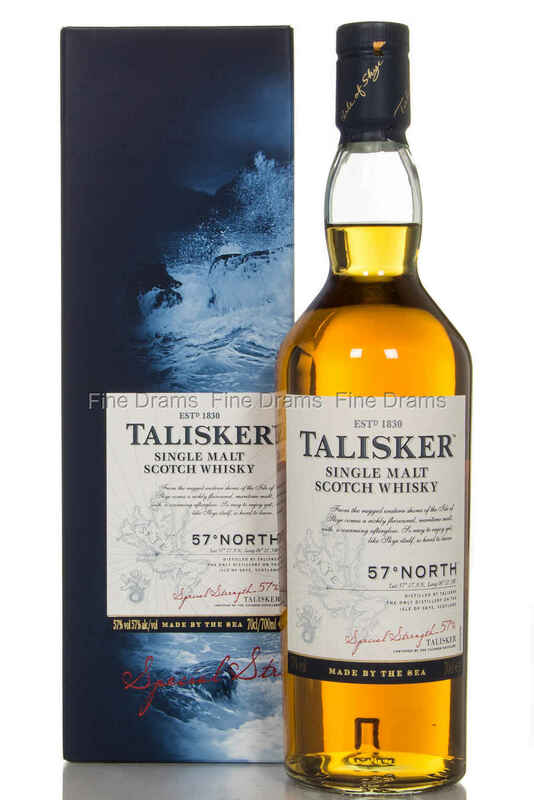 Despite this, Talisker 57th North has surprising complexity and subtlety, with notes of stone fruit and vanilla, whilst the strength allows the classic Talisker flavours of white pepper, peat, citrus and sea spray to really assert themselves. A rich, peaty and intense dram, which is packed with flavour and really demonstrates how good Talisker’s spirit can be. One that will please the peat-heads. Palate: Sweet rich peat, succulent oak, charred green wood, peppered pork sausage, smoked honey, sea salt and slight iodine. Overall: Typical Talisker character delivered with the extra power of cask strength. A whisky that impresses both in intensity and complexity.